The Musical Theater and Opera ensemble provides students with stage training and development opportunities for solo or chorus roles. This ensemble performs musical theater, operetta or opera productions during the fall and/or spring semesters with orchestra. 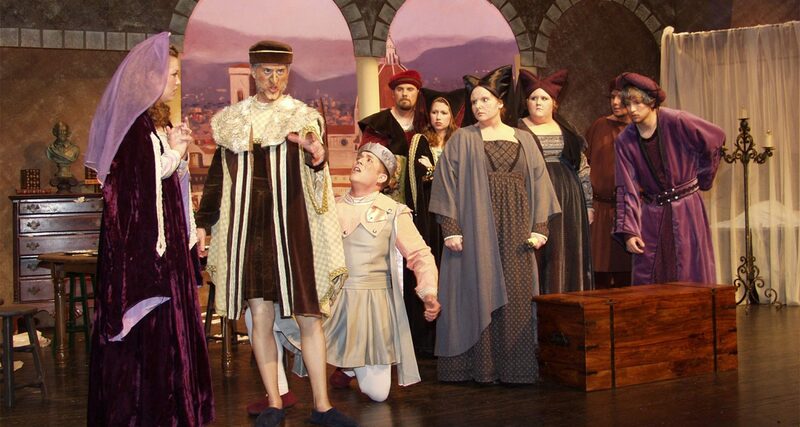 Musical Theater and Opera ensembles have produced Cosi Fan Tutte, Die Fledermaus, Gianni Schicchi, Little Women, Man of La Mancha, Oliver, Pirates of Penzance, The Fantasticks, The Impresario, The Magic Flute, The Marriage of Figaro, The Merry Widow, The Old Maid and the Thief, The Telephone, and You're a Good Man Charlie Brown. Children’s operas that have been staged are Billy Goat's Gruff, Jack & the Beanstalk, Little Red's Most Unusual Day, Little Red Riding Hood, Pinocchio, The Farmer in the Dell, and Three Little Pigs.